OrlandoHauntedHouses.com recently sat down with Shannon Lewis of Yard of Terror, to discuss what's new at Yard of Terror for the 2016 Halloween Season! 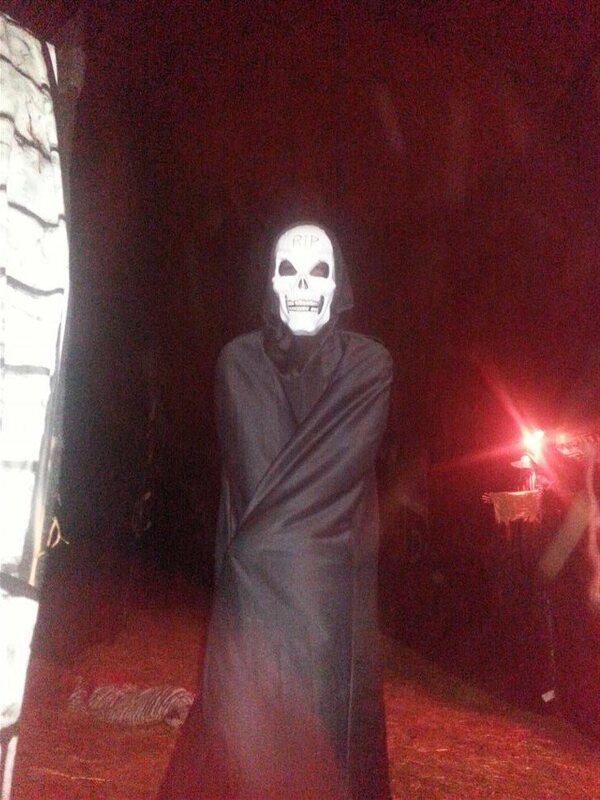 Located in Casselberry, this home haunt received "Haunt of the Year" in 2014 and has started stirring up terror this past weekend. After a year off in 2015, Yard of Terror came back better than ever for the 2016 Halloween Season. With three nights of frightening fun left for the season, this home haunt is surely one you don't want to miss out on! What's new at Yard of Terror for 2016? Do you have any new rides, attractions, or special features that Haunt Seekers should know about? We are in a new location with more props , more scenes and we are an indoor/outdoor event this year. Our new layout and our scary cast members. 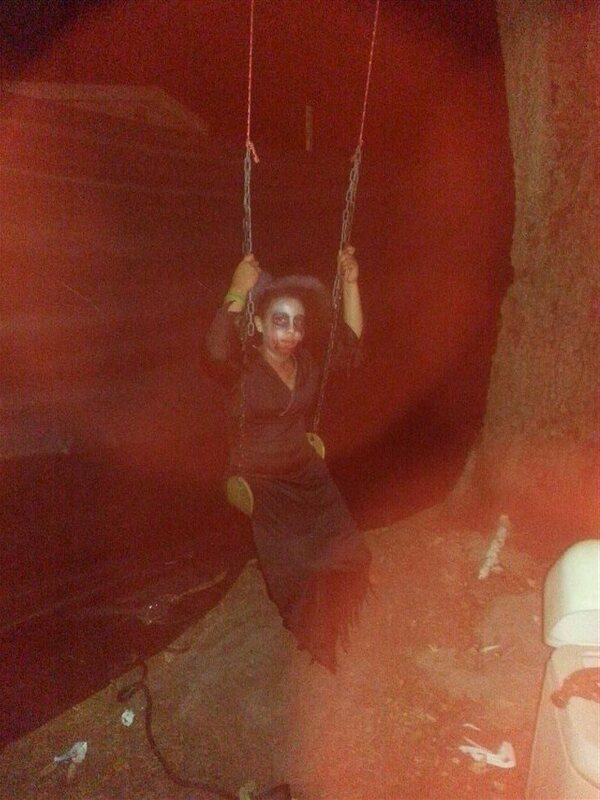 What differentiates Yard of Terror from other local haunts in Orlando? We are better priced and although we are a home haunt the people that leave our haunt always tell us that they were not expecting the detail and the scare factor that we have. How long has Yard of Terror been in business? Can you tell us a bit more about Yard of Terror's history? We first opened in 2014 we were not opened in 2015 but have reopened this season and plan on opening every year moving forward. What's your favorite experience since opening Yard of Terror? My favorite experience is the look on peoples faces when they are scared but then after its over they are smiling and pumped up. There is great satisfaction in knowing that we are not what people expected we are far better then what they have anticipated. How long is a typical haunt experience at Yard of Terror from start to finish? We only allow one group to go in at a time so depending on how fast they walk it is anywhere from 7 to 10 minutes. On a scale from 1 to 10, how scary would you say Yard of Terror is? Why? We are a 10. I say that because of peoples reactions and at the end of the haunt I talk to the customers and they have all said it is very scary. Does Yard of Terror's property have any real haunted history? Do you have a spooky encounter you'd like to share? We are in touch with the spiritual realm and often encounter spiritual orbs... if you watch videos that we make you will see orbs. My husband and I love Halloween. Halloween is our Christmas and we enjoy setting up and playing a part in the haunt. We are always searching for new ideas throughout the year. My favorite part of the business is being able to provide a source of entertainment to people that we ourselves will enjoy. We also have an awesome cast that makes working the event a lot of fun! How has new technology (i.e. animatronics, special props, etc) helped you to enhance Yard of Terror? The sound effects plays a big role and having it easily accessible now with modern technology has helped a lot. The animatronics are very cool and we use several but however we feel a good old fashion haunt with real people is more effective. Can Yard of Terror accommodate large groups? How many people can experience Yard of Terror together as a group? We like to bring in small groups at a time no more than 8 normally because we feel it intensifies the experience however, if requested we will accommodate larger groups. Does Yard of Terror offer any special deals, discounts, or coupons? Yes, it is random but everynight we pick a a group or two and let them know if they bring back a group thier size they can experience it again for free. We also do contest on facebook for free tickets. Anything else you'd like to let us know about Yard of Terror? Don't let the fact of us being a home haunt discourage you from coming. You will be very surprised on the scare factor and detail that goes into the event. You will enjoy this experience!